When this time comes, you only want to trust experienced professionals like our experts at Woodbridge Home Exteriors. Here are a few of our best tips to inspire your own exterior remodeling projects. Whoever said ‘out with the old, in with the new’ clearly has not given much thought about new exterior options available today. There’s a reason traditional shiplap siding boards and shingles have survived years without ever going out of style. These classic staples of American residential architecture have been given the modern treatment both in materials fabrication and energy efficiency, making them a perfect candidate for a 21st-century home. 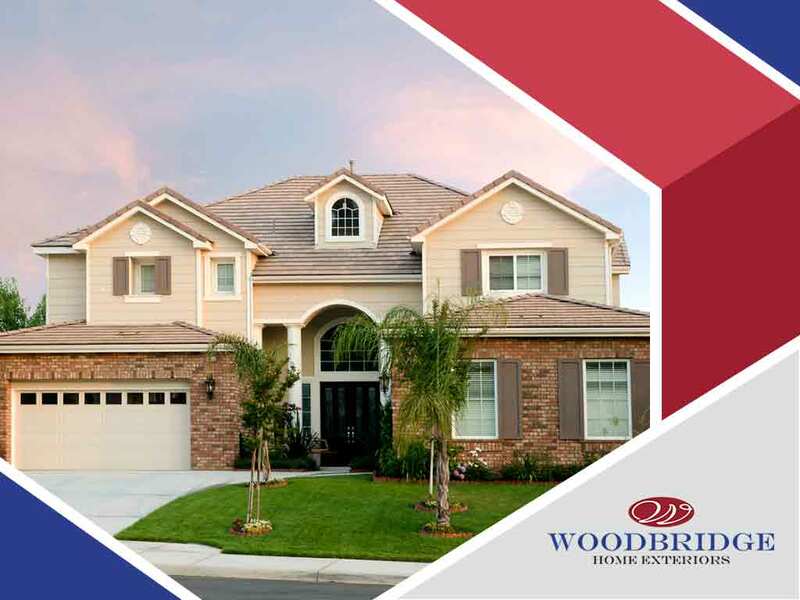 Our professionals at Woodbridge Home Exteriors have been home siding contractors for many years and we’ve noticed a gradual increase in the number of homeowners asking for chic and clean modern makeovers. Board-formed concrete accented with Corten steel can make for an ultra-modern design, depending on your architecture, but it could also make your home appear characterless. Soften some of the edges by adding some plants or even a few classical details that can break the monotony. If your exteriors have always been flat and drab with the usual greys, whites and browns, this year, try livening up your home with bright colors like turquoise, yellow, and coral. While these hues are not normally seen in many homes, you can easily stand out from the crowd by embracing the playfulness and whimsy that happy colors can bring. At Woodbridge Home Exteriors, we are your trusted provider of high-quality siding repair, installation and products, as well as replacement doors, windows and more. Give us a call at (316) 226-8011 or fill out our online contact form to request and schedule a service visit today. We serve homeowners in Salina and Hutchinson, KS.